IBPS CWE RRB Online Application 2019 - All about the methodology of Institute of Banking Personnel Selection (IBPS) Common Written Exam (CWE) for recruitment of Group “A”-Officers (Scale-I, II & III) and Group “B”-Office Assistants (Multipurpose) Regional Rural Banks (RRBs) Examination will be held in 2019. This system of Common Recruitment Process- CWE, Common Interview and p rovisional allotment in Regional Rural Banks has the approval of the appropriate authorities. A candidate can apply for the Post of Office Assistant (Multipurpose) and can also apply for the Post of Officer. However a candidate can apply for only one post in officer’s cadre i.e. for Officer Scale-I or Scale- II or Scale-III. -Rs. 100/- for SC/ST/PWD candidates. -Rs. 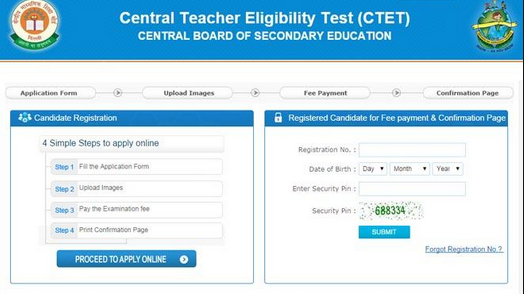 100/- for SC/ST/PWD/EXSM candidates. STEP3 : Now find the appropriate option “CLICK HERE TO APPLY ONLINE FOR CWE- RRBs-OFFICERS (Scale-I, II and III) September 2019” or “CLICK HERE TO APPLY ONLINE FOR CWE- RRBs- OFFICE ASSISTANTS (Multipurpose) 2019” to open up the On-Line Application Form. STEP4 : Candidates will have to enter their basic details and upload the photograph and signature in the online application form. The Centre, venue address, date and time for examinations and interview shall be intimated in the respective Call Letter. An eligible candidate should download his/her call letter from the IBPS website www.ibps.in by entering his/ her details i.e. Registration Number and Password/Date of Birth. No hard copy of the call letter/ Information Handout etc. will be sent by post/ courier. ntimations will be sent by email and/ sms to the email ID and mobile number registered in the online application form for CWE RRBs-IV. IBPS/ RRBs will not take responsibility for late receipt / non-receipt of any communication e-mailed/ sent via sms to the candidate due to change in the mobile number, email address, technical fault or otherwise beyond the control of IBPS/ RRBs. Candidates are hence advised to regularly keep in touch with the authorised IBPS website www.ibps.in for details, updates and any information which may be posted for further guidance as well as to check their registered e-mail account from time to time during the recruitment process. Each candidate will be required to obtain a minimum qualifying score in each test and also on total weighted score that is 35% for SC / ST category candidates and 40% for Other Category candidates to be considered to be shortlisted for interview. Mere passing in individual tests may not be sufficient as candidates should also score sufficiently high on Total in order of merit to be called for interviews to be conducted with the help of the designated Nodal RRBs, coordinated by IBPS in consultation with appropriate authority. Decision of IBPS in shortlisting and calling numbers of candidates for Common Interview shall be Final. Prior to the completion of the interview process, scores obtained in the online examination will not be shared with the candidates shortlisted for interview. Scores upto two decimal points shall be taken for the purpose of calculation. iii. Computer knowledge or awareness will be an added qualification. Engineering, Pisciculture, Agricultural, Marketing and Cooperation, Information Technology, Management, Law, Economics and Accountancy. Rest of post eligibility prefer prospectus given in bottom of the webpage.